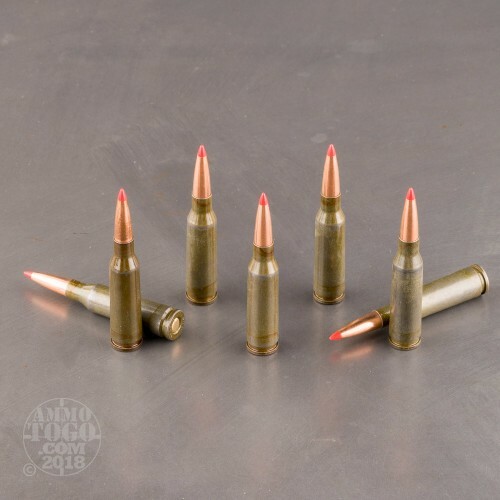 These 5.45x39mm loads from Hornady are perfect for taking down coyotes, large jack rabbits, or other medium-sized varmints at long range. 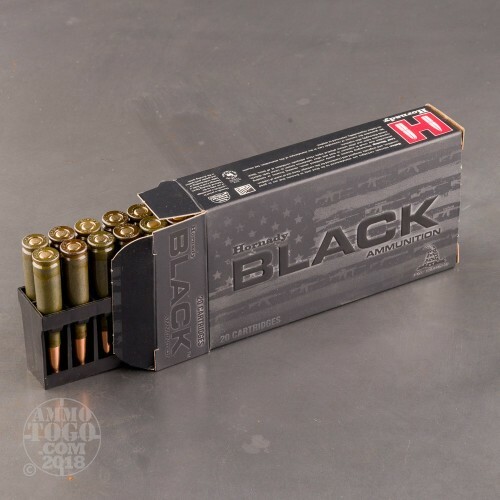 As part of the BLACK collection, this ammunition is intended to be easily recognized as a top choice for American shooters who prefer AR-15s and AK-74 style rifles. Each cartridge is made using an inexpensive, non-reloadable steel casing fitted with a non-corrosive Boxer primer. The case contains a consistent load of powder which has been tested for reliability in numerous action types and propels a 60-grain V-MAX bullet. Hornady's V-MAX projectile design features a strong copper jacket and a hollow nose cavity which is covered by a red polymer windshield. The plastic tip tapers cleanly to the bullet's body for sleek aerodynamics and also serves to initiate expansion upon impact. During entry, the round will experience a mild degree of fragmentation which works to negate over penetration while creating a large wound cavity and distributing maximum energy to vital areas; this yields a quick and humane drop on the target. 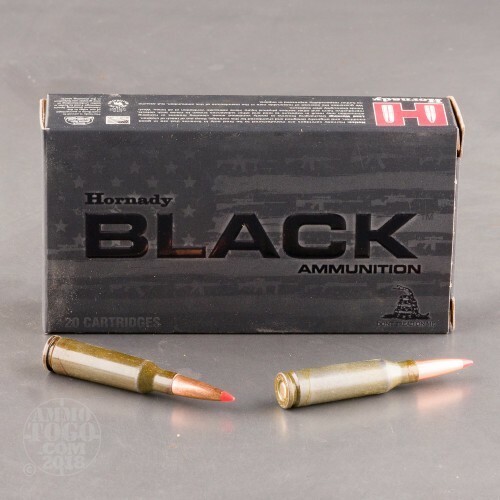 BLACK allows shooters to buy a full-up product which reflects the performance that reloaders have loved Hornady for since 1949. 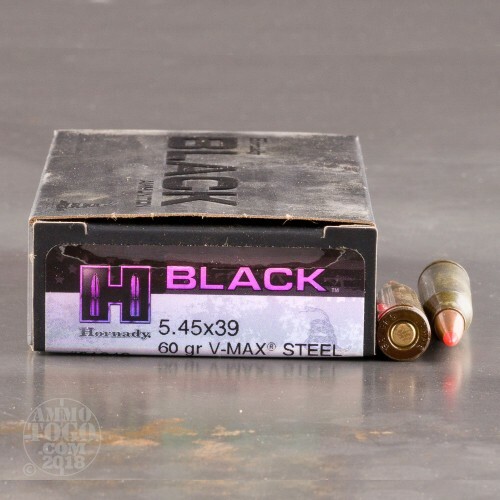 This weight class of V-MAX bullet is also used in some of Hornady's TAP products which are marketed to law enforcement as an urban duty round that carries very little chance to cause collateral damage.